Joe and Austia have begun the second phase of their language learning and have their original helper, Samira, back. Samira invited the team to her village for two days during a recent celebration thus deepening the relationship with her and her extended family. Pray they will boldly proclaim the gospel to cousins, friends, lift up their needs, and that Jesus be recognized for healings and miracles prayed in His name. Pray Larry Brown will receive his Permanent Resident Permit so he can stay in Malawi long term. Pray for the expansion of African Bible College’s Radio and TV ministries broadcasting both American and Malawian programming. As ABC faculty responsible for outreach, Larry is excited to see the students begin innovative ministry projects. 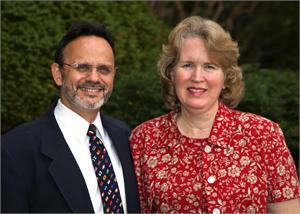 Norm and Ruth Ann ask for the Lord’s protection over field workers serving in volatile places. The workers in Syria were evacuated several months ago, but have been able to minister to many from a neighboring country. Pray for more opportunities for the team to share the gospel. Pray for Patience Whitten and Katie Kimbro who went from a week-long retreat right into helping host the Disabilities Conference in Sofia. Pray for a positive response and awareness to the needs of these special people. The weekly English clubs and Ladies Bible study have begun. Pray for energy and grace as Katie & Patience tackle a variety of responsibilities. Greg L rejoices that 1400 from his agency representing nearly every Muslim majority country recently celebrated together; that more Arabs are bowing the knee to Christ than ever before; workers are headed to Libya; Sally is more energetic and healthy than she has been in years; and his new assistants are in England. Pray for all this ongoing work. Since the inception of Uganda Bible Institute 302 individuals have graduated and are now serving in churches, schools, and other institutions. Pray for Johnson Twinomujuni, the principal, and the Governing Council and Boards as they make decisions and look for ways to support the Institute. Pray for Johnson’s family: daughters Sight third year and Insight first year university students, and wife Joy continuing theology studies at UBI. Chris and Debbie Gibson ask prayer for a young ministry couple who are overwhelmed and ready to leave the field due to obstacles and setbacks; a seasoned national facing “burn-out”; and a missionary who feels targeted and oppressed spiritually, living under cover in a closed country. 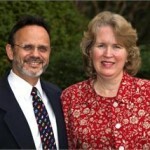 Pray God will give Chris & Debbie wisdom as they counsel, encourage and pray with those who serve Him. Guille MacKenzie asks prayer for his new Bible studies on Spiritual Formation to bring new believers closer to the Savior; for the team of seven performing songs, games, and arts and crafts with the children in a Buenos Aires hospital; for a balanced church focus between loving God, loving each other, and loving their city; and for the church planting team to grow stronger in unity and commitment. Katie Kimbro asks for prayer as she and Patience join an ESL ministry in a Roma neighborhood focusing on Gypsy children ages, 7-17. Pray for wisdom, discernment, building relationships, and continued learning of the Bulgarian language. Pray her friend Dilyana will come to know Jesus as He truly is, and want to follow Him. John F. reports that he and Dawn had the privilege of hearing the ways the Lord is working in Laos. Several young interns who are considering investing their lives there joined them. Pray for these interns and for God to raise up people to penetrate this dark land with His light.